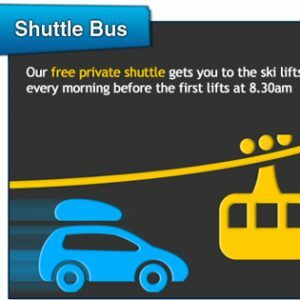 Ramat Niseko offers a private First Tracks Shuttle Bus that leaves every morning at 8.00am to ensure you are one of the first up on the slopes. A private shuttle service is also provided on arrival and departure. The combination of ski shuttle and private shuttle ensures location of 1km from Hirafu is not an issue with guests. Take advantage of Ramat Niseko’s First Tracks Shuttle and be the first on the slopes every day. 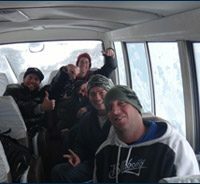 The bus leaves every morning at 8.00am packed full of keen guest that are eager for fresh tracks. 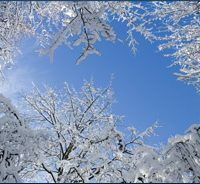 Our private shuttle service will help accommodate your needs and make your snow holiday even more enjoyable. The combination of ski shuttle and private shuttle ensures location of 1km from Hirafu is not an issue with guests. Our friendly staff will pick you up on arrival from either the Welcome Centre or Kutchan Train Station and take you to the lodge. There is also a nightly shuttle bus into Hirafu to drop off guests for dinner and explore the night life of Niseko. Other services that can be arranged at the lodge include trips to Kutchan for food supplies, drop off to ski lifts and into Hirafu and occasionally daytrips to other ski resorts. If you are wanting to get a ride into the Village OR Town please speak with a staff member. 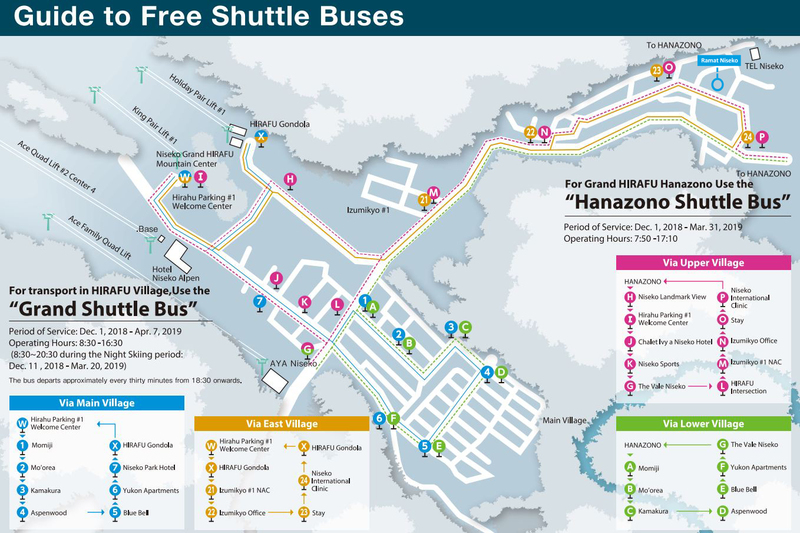 The free Grand Hirafu shuttle operates between 8.30am – 8.30pm every day. There are buses approximately every 20 mins with the closest bus stop (no. 23) in easy walking distance and less than 150m from the lodge. This service will only take a few minutes to get you into the centre of the village where you can access the lifts, convenient stores, restaurants and bars. 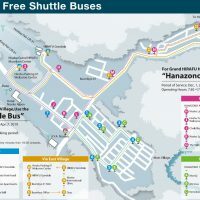 The shuttle operates from the Welcome Centre to Hirafu Gondola and also covers the Izumikyo (Hirafu East Village) area.